Sparkly nails, there are few things I love more than freshly painted sparkly nails and today’s are no exception. I’m wearing two different polishes today that I paired together to add more impact. They’re both affordable and accessible and so this is a great manicure that anyone and everyone can recreate at home, and it’s a great mermaid-esque mani for the beach and hanging poolside. 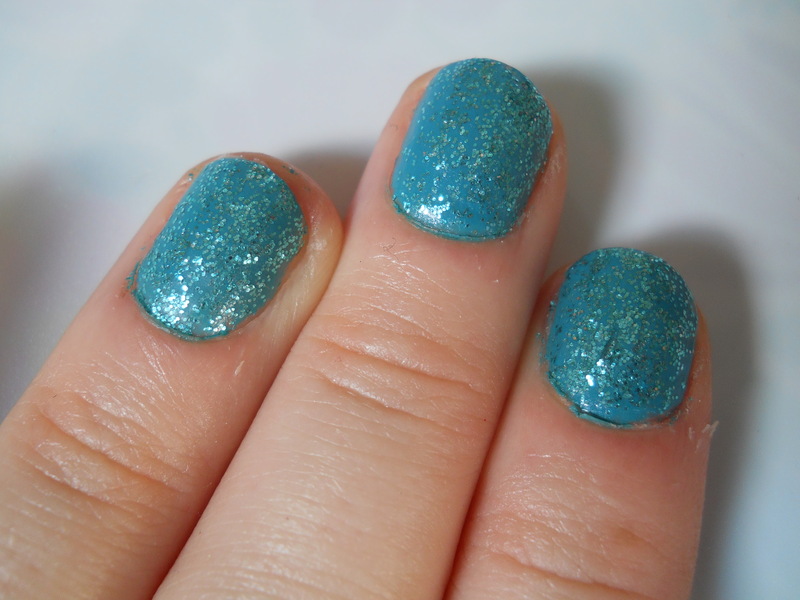 I was in the mood for greeny-blue aquatic type nails, so I instantly grabbed this Angelica tealy glitter from my collection. I picked this up from Primark as Angelica have a stand in some stores, but Angelica are currently working on their site too so you’ll soon be able to buy it online here. This gorgeous polish is densely packed with glitter and has the most apt name ‘Emerald Isle’. Despite the dense glitter this still is not quite opaque enough to leave without a base coat, so before painting this on I applied two coats of Missguided’s Misstique which came free with a magazine last year but which is available on the Missguided website here in their Summer Splash Polish Set. I’d highly recommend both polishes as I’ve used them separately before and found them extremely durable. The Missguided one is great for days when you’re in a hurry as it is opaque in one coat(!) and dries super fast. Disclaimer: All images were taken and are owned by me. No links are affiliate links and I am not affiliated with any brands or companies mentioned. All opinions are my own.